When we call “peace” the war, when the propaganda is presented as the truth, when we call “love” the hatred, it is there that the life begins to look like the death. Donbass survives. Manuel practises hell. There is a hackneyed phrase: history repeats itself – the first time as tragedy, the second time as farce. No. There is still a third reflection of the same events, the same plot: a reflection in the concave mirror of the underground world. The plot is unimaginable and yet real, it really exists and is right next to us. (Varlam Shalamov, “Pain”). It seems to me that these sentences describe very exactly the state of things on our territory, the one that was previously Soviet Union, as well as subject of the movie which I get ready to shoot: the reflection of the history in a distorting mirror of the underground world. "A scathing portrait of a society where human interaction has descended to a level of barbarity"
"Great visuals, but lacking in human warmth (...) Loznitsa's distinctive directorial style (...) risks creating a dry formalist exercise that's hard to understand and engage with"
"It remains the uncompromised vision of a high-level international auteur." 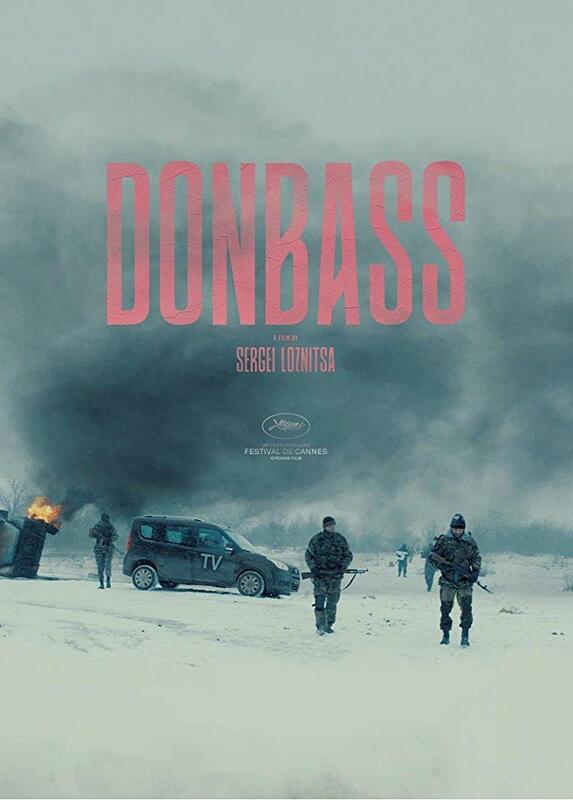 "Loznitsa portrays a society ravaged by corruption, extortion, lawlessness and division"
"A freakish kaleidoscope of bizarre scenes and nightmarish vignettes (...) There is an incredible kind of cold energy and steely control in the way all this has been orchestrated (…) Rating: ★★★★ (out of 5)"
"'Donbass' often feels overwrought (...) 'Donbass' only sometimes hits its target, but even so, it’s clearly the work of a director with an angry message to get across"